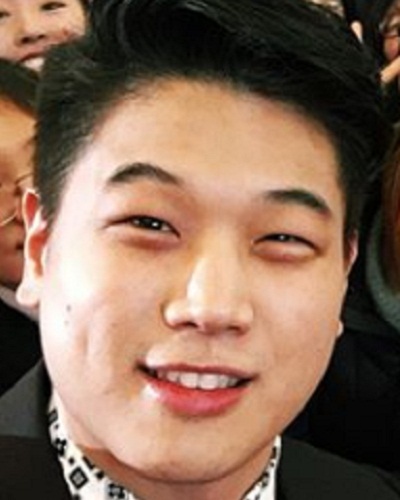 Ki Hong Lee is a Korean slash American actor who is already famous as a very multi-talented artist. Besides conquering the department of acting with his incredible performance, he is also well-known as a voice actor. Sadly, not many people know much about the details of Ki Hong Lee biography and filmography aside from the fact that he played as Minho from the trilogy The Maze Runner. So, to know him better, this article will also explain about the biography of Ki Hong Lee, the date of birth of Ki Hong Lee, the Instagram account of Ki Hong Lee and his partner. Let’s move to the first thing, started from his birthdate. Ki Hong Lee was born on 30th September 1986 in Seoul, South Korea. The thing is he grew up abroad. This is somewhat different from many people’s assumption which assumes the other way around. If you think that he was graduated from the acting department, then you are wrong. Actually, he was studying at UC Berkeley majoring in psychology and graduated in 2008. He started to pursue a career in acting after graduating. Not many of you know about this but he was interested in acting way long before. Yes, he actually began to act since the middle school, but it seems that it was a shallow attraction. He said that his decision to pursue acting was inspired by Aaron Yoo, the actor of Disturbia—when Lee was in college. Exactly, a couple of years after he graduated, this actor eventually made his appearance on various TV shows; from appearing as a cameo in Modern Family to appearing as the main character in on ABC’s show The Nine Lives of Chole King. Following his multiple appearances, in 2011 Lee began his career on stage. His first stage is in Wrinkles. It was presented by East West Players with Jeff Liu as the director. The stage took place in one of the well-known theaters in the Downtown LA. 2012 passed with him featuring in short mini-series by WFP and here comes 2013. It was in spring when Wes Ball—a famous director tweeted on his Twitter account that Lee was cast as one of the characters of movie adaptation sci-fi novels, The Maze Runner. He plays the role of Minho. After the success of the first movie, Lee came back to appear in the second and third series which were released in 2015 and 2018 respectively.